One short story a month. Maybe | Read.Write.Discuss.Repeat. As per my usual routine recently I’ve been keeping on with the writing of my 2013 NaNoWriMo project, The End Solution. No editing done this week but I’ve enjoyed the extra writing in its stead. I’ve also decided to try and write one short story a month alongside writing the End Solution and editing some of my other stories. And reading. And so on…. But is this all too much? Who knows? But I’m going to give it a good try. I’ve had an idea for a story based around an immortal living in modern day Manchester for a while which I started to write last week. I didn’t want to do the whole ‘fish out of water’ scenario so I started cautiously as I was wondering what I could do with it. And as luck would have it, well not luck but the way I write coming into play brilliantly, as I finished the first page I realised I needed to map the story out. It’s only going to be around 3000 words so I have to use every word wisely. Then, after writing the map and the second page, I came up with an ending. A cast iron, should be there until the umpteenth edit, ending. And I even know how I’m going to get there to. I usually just write and see where the story takes me. I don’t know why but when I write short stories I plan then out. Down to every last detail. But when I write longer ones I roughly plan them and go with the flow. I have never felt any problem writing this way so I’m hoping to use this and get at least one new short story finished per month. But maybe not November. That could be an extra challenge on top of NaNoWriMo 2014? 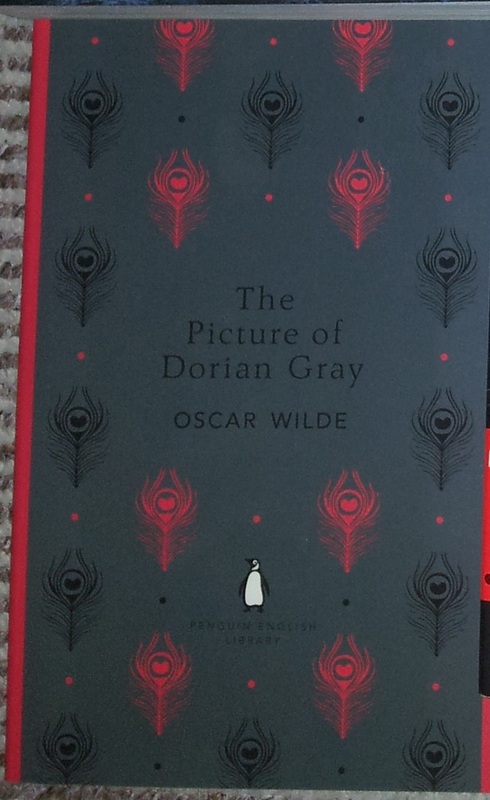 Hmmmm…..
Also, following on from my last post, I’m going to be reading The Picture of Dorian Gray next. To be honest, I’ve been looking forward to reading this as much as I had looked forward to reading Dr Jekyll and Mr Hyde. Here’s hoping it will be as good if not better. Okidoke. I’m going to get on with the reading The Bottle Imp and hopefully start reading the above this time tomorrow.